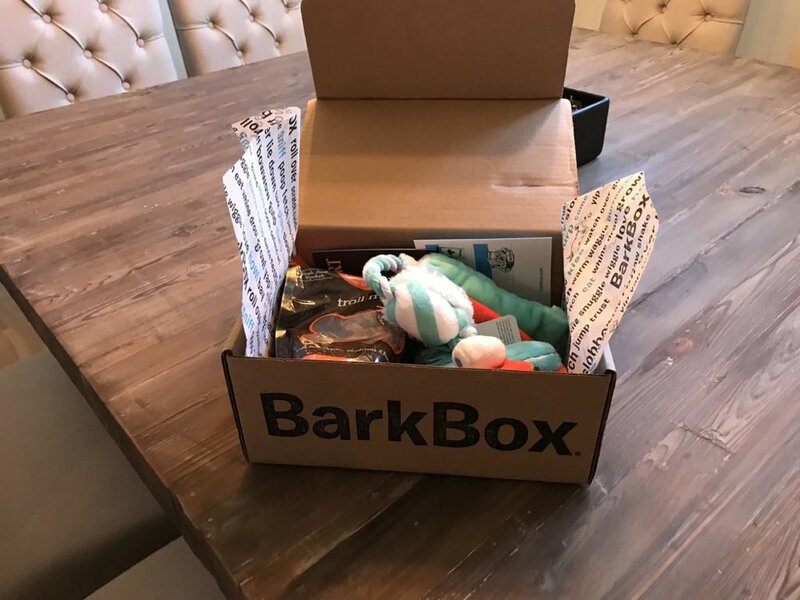 Bark Box is every dog's dream come true with a themed assortment of new toys and treats each month. All you have to do is tell Bark Box the size of your dog and any special needs. They send you toys and treats that are size appropriate, but let us warn you, your pup will be hooked. Each box contains 2 toys, 2 bags of treats and 1 chew. Right now if you sign up for Bark Box, you will get a free month! Madi wanted to make sure everyone knows that she ruvs Bark Box and gives it two paws up! There is nothing that excites her more than the one day each month that her newest collection of toys and treats shows up on the front door. Madi is just like any other kid, because of course she has her one favorite toy "The Fire Baller" which happened to come in her box last year (it's still the toy she plays with 75% of the time). Sure, a lot of people buy dog treats and toys at your typical big box pet stores but it isn't the same as when you get them sent directly to your door each month. The pure joy and excitement of seeing Madi react when we bring the box into the house and let her open it is worth it for us. Not to mention the toys are different every month, so she never gets tired of playing with them. And did we mention they are nearly indestructible! Treats, lets talk savory, healthy dog treats that are high-quality and seem to get the paws up approval from Madi. Not sure if your dog is like ours but she thinks it is fun to play a game of toss and fetch with them before she devours them. We almost forgot, 10% of their profits are donated to over 3,000 animal shelters throughout the United States and Canada. Well, what are you waiting for give it a try with your first month free! For more information and for a totally new experience for you and your pup, visit Bark Box today!